Christmas lights have evolved over the years. Now it is very common for people to have a whole display of lights with music, blowups, and other visuals. Every year people around the country dress their houses with extravagant Christmas lights in an attempt to outdo their neighbors. Christmas lights are a tradition that has been around for decades. The light shows that people create by decorating their houses bring out the Christmas spirit in everyone. While some people only put up a casual amount of lights to show their Christmas spirit, others go to the extreme, like they are trying to imitate the Griswolds. Some families even make a tradition of driving around to look at Christmas lights and judge which house has the best display. The holiday season is about embracing traditions, and Christmas lights definitely have become a tradition for this generation of kids. Extreme Christmas lights have become so common now that there are even TV shows to show off the hard work families put in to display their lights. The shows started out just to showcase extreme examples of Christmas lights, but it has now turned into a contest where the contestants can win money and bragging rights. 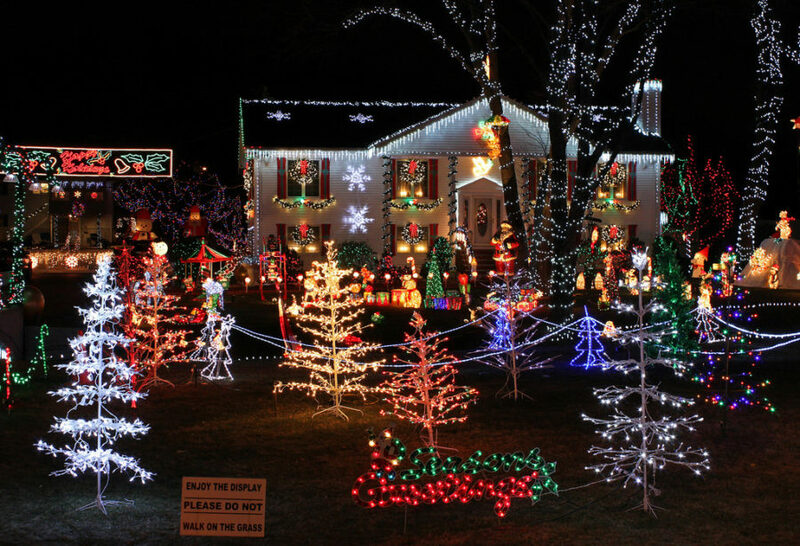 ABC airs The Great Christmas Light Fight, which is also a contest for people to create the best light show at their house to win a prize. Critics may say that these shows take things too far and take the true meaning out of Christmas, but these shows actually emphasize the Christmas season. Christmas light shows may even inspire other people to go all out on their house next year. Everyone can agree that Christmas lights truly showcase the Christmas spirit.